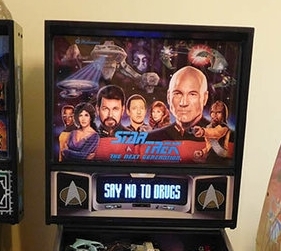 Star Trek: The Next Generation is one of my favorite pinballs! A super PIN designed by Steve Richie makes a player feel like he’s in space battling some of the galaxies evilest enemies. One of its coolest features is a Borg ship that captures and shoots out the ball! It cycles through 8 different missions with objectives and correlating video scenes. Its truly one of the most interactive pinballs. 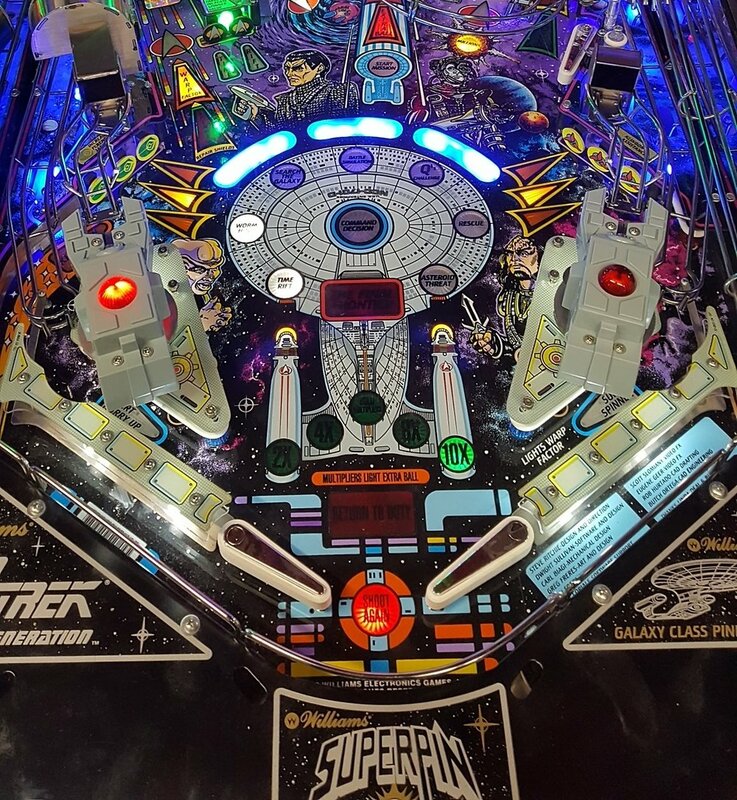 This pinball machine has all of the upgrades. The cabinet has been completely restickered and new mirror blades have been installed. Cannons have been upgraded to laser cannons. Flippers have been upgraded to chrome flippers. Flashing blue LED buttons have been added as well as light up speaker panels. The Alpha, Beta and Delta ramps are all in excellent shape. 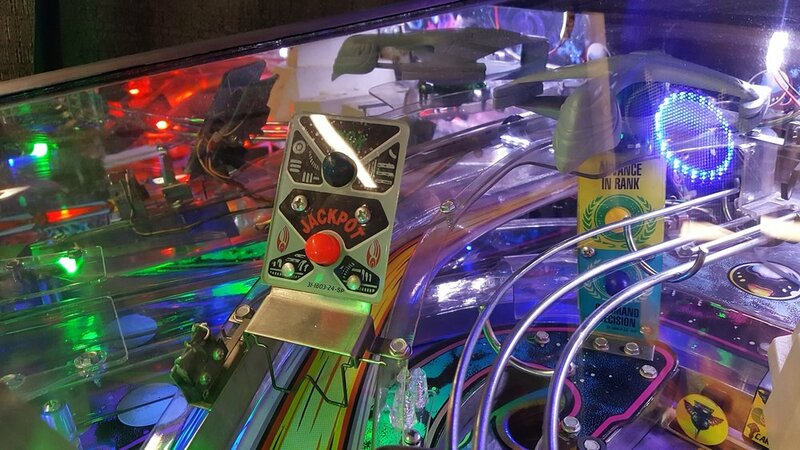 DMD has been upgraded to full color and LEDs have been installed throughout all of the playfield and the head. Every possible upgrade has been added to this machine. A really fantastic unit.